Innovative Skin Care made in "Petite France" – with a 500 year tradition of natural healing and body care. Discover our unique cosmetic products based on traditional phyto-therapeutic "savoir-faire" and latest scientific processes on how to extract, preserve, and utilize highly active substances in our body and skin care therapies. Since 1976 our products have been created and tested in cooperation with leading dermatological laboratories, combining natural, soothing treatments with remarkable results. In the 15th century, La Petite France in Strasbourg (France) emerged as the center for an outstanding therapeutic tradition that relied on natural healing, herbs, and spa treatments known for harnessing the rich flora and fauna of the Rhine valley, nestled between the Black Forest and the Vosges. These centuries-old natural healing plant-based therapies have been practiced and perfected in the area known as “Le Bain Aux Plantes” (EN. : bath in plants). Today, Le BAP® - Bain Aux Plantes institute and brand, founded in 1976 and located in this very location, draws on this tradition. We specialize in testing, developing, and applying this synergy of ancient knowledge and cutting-edge innovation to bring you the best skin care products for health and beauty. The CLEANSING GEL PHYTO naturally prepares and makes the skin more receptive for actif substances Moss approx. 2-3 doses of the gel with a sufficient amount of water and apply it extensively in circles on the face. After treatment rinse carefully all product with plenty of water. Avoid contact with eyes. Adapted for daily use. RENEWER OF SKINREGENERATION, FIRMNESS, ELASTICITY WITH A LIFTING EFFECT. Unique silk proteins skin and capillaries the firmness needed for a tightening lift-effect.For all skin types. 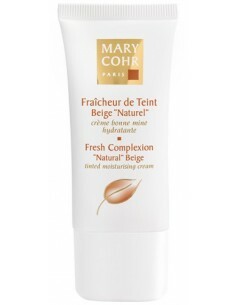 This lightly tinted and indulgent cream melts into the skin, unifying the complexion and enhancing it instantaneously. In a single movement, your face regains a very natural healthy glow which lasts all day long. It furthermore benefits from the protecting and moisturising action of a day cream. MULTI-PURPOSE BLEND OF ACTIVE INGREDIENTS FOR A PERFECT EYE AREA A unique blend of active substances, known for their unique effectiveness, tested and specially adapted for the skin tissue around the eyes. This therapy adresses the complete facial contours around the eyes, creating an attractive, youthful and smooth appearance.For all skin types. THE STAR OF AESTHETIC MEDICINE ULTRA CONCENTRATED Hyaluron Pure is fermented and 100% not from animal origins, hence highly hypoallergenic. It allows the skin to regain a healthier, younger appearance by strong hydratation, improved skin texture and a strong reduction of the visibility and depth of wrinkles.